Still done nothing with the borders in this one too. I love do-it-yourself card and gift ideas and came upon your blogs about your greeting cards. I've never seen or attempted the "quilled" technique and thought it was a really different and cute idea. Just wanted to comment on it and let you know that the card is coming out great and that I have enjoyed looking at your blogs and photos. Hi Sheetal, I wanted to say thank you for the shout out, so kind of you! 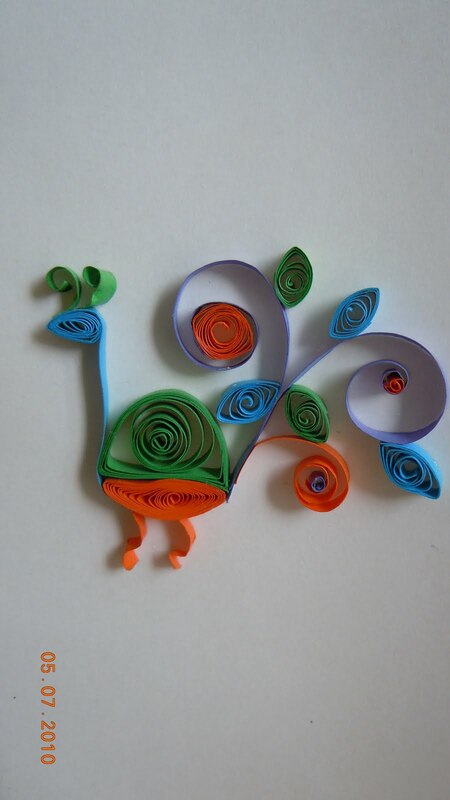 Also, I have just discovered quilling, and for just starting you are doing a great job. Really just a beautiful job in general!